Our professional White Lake sleep apnea and snoring dentists are available to help you tackle sleep disorders such as sleep apnea and snoring — which can disrupt your life and cause more serious problems if not diagnosed and treated properly. James A. Bedor DDS can offer you several safe and effective solutions to relieve snoring and mild obstructive sleep apnea. Sleep Apnea and snoring can be potentially serious disorders, causing breathing to stop and start during sleep. 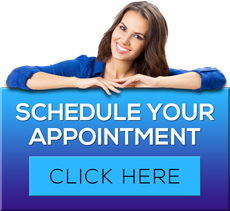 Our expert White Lake dentists can provide you with safe and effective options to reduce or eliminate these frustrating and dangerous issues. Obstructive sleep apnea, which occurs when throat muscles relax, is treated with oral devices designed to open your throat by bringing your jaw forward. In severe cases, patients may require a CPAP mechanical appliance. Follow up with your White Lake sleep apnea dentist every six months to ensure proper fit. Once you find the right fit, you’ll still need to follow up with your sleep disorder dentist in White Lake every six months during the first year and then at least once a year after that to ensure that the fit is still good and to reassess your signs and symptoms. To learn more about White Lake sleep apnea dentist James A. Bedor DDS or to request an appointment, please contact us here or call our office directly at 248.698.8330.